A mysterious island. An abandoned orphanage. 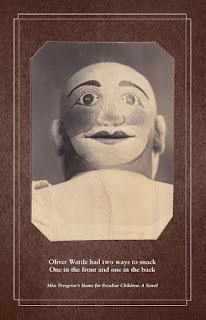 A strange collection of very curious photographs. It all waits to be discovered in Miss Peregrine's Home for Peculiar Children, an unforgettable novel that mixes fiction and photography in a thrilling reading experience. As our story opens, a horrific family tragedy sets sixteen year old Jacob journeying to a remote island off the coast of Wales, where he discovers the crumbling ruins of Miss Peregrine's Home for Peculiar Children. As Jacob explores its abandoned bedrooms and hallways, it becomes clear that the children were more than just peculiar. They may have been dangerous. They may have been quarantined on a deserted island for good reason. And somehow, impossible though it seems, they may still be alive. Growing up, sixteen year old Jacob was always fascinated by his grandfathers fantastical stories. A man who escaped Poland before the approaching second world war, his parents sending him alone on a train to Britain only to have perished, leaving his grandfather orphaned and taken in by Miss Peregrine's Home for Peculiar Children in Wales. This is no ordinary children's home as Jacob is about to discover. Along with his father on a bird watching expedition, Jacob now stands among the ruins of the once loved children's home. In the hope of rekindling his wondrous childhood, Jacob believes his fate is wrapped up in the derelict home where his grandfather was once young and free spirited. Armed with a collection of vintage photographs and his grandfathers stories, Jacob will discover a world parallel to his own. A world of wonder, enchantment and a world on the verge of destruction. 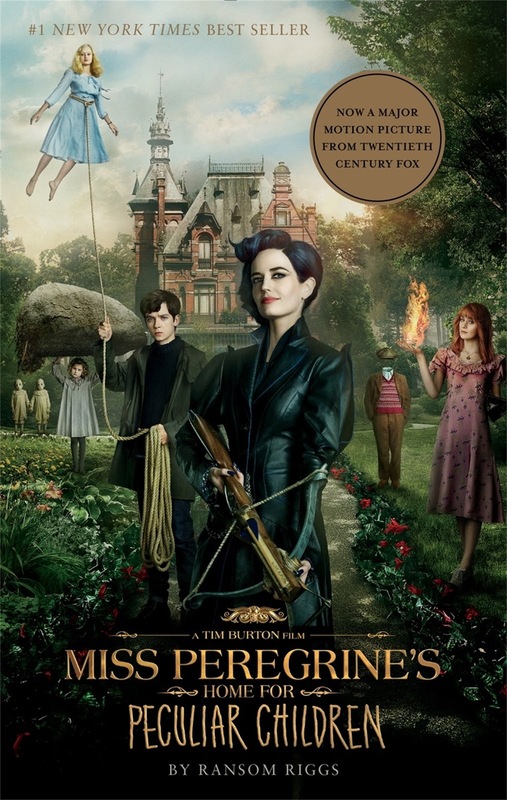 Miss Peregrine's Home for Peculiar Children was fantastical, a wonderfully rich and picturesque world that enchants and delights. Sixteen year old Jacob stands among the ruins of the once stately Wales manor, formerly an orphanage for children during the second world war including Jacob's grandfather. As a young boy, Jacob was raised on the tales of mythical children who were extraordinary. Invisibility, levitation, creating, shaping and enchanting the children's home where taught by Miss Peregrine herself. As the modern realm advances, the children are protected by a time loop and live each day with endless possibilities knowing that the sun will rise again. While Jacob's grandfather enlisted in the war effort, returned, married and begun a family of his own, the children of Miss Peregrine's haven't aged. Perpetual children who are loved, cared for and given refuge against a cruel world. So incredibly whimsical, the children were lovingly created and their world vividly painted. I was captivated. 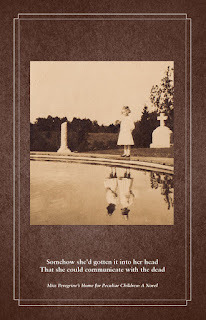 Throughout the first installment, the reader is treated to a collection of images of the children under Miss Peregrine's care. It was incredibly atmospheric and immersive. Told through Jacob's point of view, Jacob is teen lashing out after tragedy befalls the Portman family. He's antisocial and insists on retracing his grandfathers childhood tales with his unemployed father in tow. His father has never understood the connection his own father shared with Jacob, but under the guise of a bird watching expedition and advice from Jacob's therapist, the duo adventure to the small Welsh island. What makes Jacob extraordinary himself is the children of the orphanage. Dapper Horace who has premonitions of the future, Hugh who is seemingly made of bees, Enoch who can animate the dead, the invisible Millard and Emma Bloom who is the homes resident pyrokinetic, able to create and control fire. Emma and Jacob are attracted to one another especially given her connection to his grandfather, but their attraction is a gentle companionship rather than a passionate teen romance. It was nothing short of breathtaking. 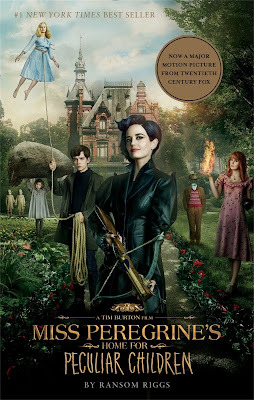 Miss Peregrine's Home for Peculiar Children's whimsically eerie storyline of the curious and wonderful. Lyrically beautiful and immersive, I absolutely adored it. will be released in Australian cinemas on September 29th 2016. Oh most definitely Geraldine. Have you seen the official trailers, it looks absolutely brilliant. This book was pretty hyped when it was first released, but I still haven't read it until now xD I should read it soon, since the movie will be released this year. 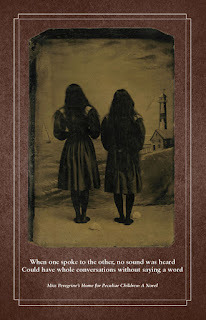 I really like the whimsical and gothic vibe from this book, and the photographs give an extra creepy vibes to the story! And I also would love to explore more of the characters peculiar-ness :D Lovely review Kelly! Thanks Tasya. That's what really engaged me too, the whimsical storyline but also how eerie it was. Such a wonderful read. I'd love to see what you think of it. I wasn't at all interested in this book, but then I watched the movie trailer the other day and now I absolutely NEED to read it. I'm so glad to hear that it's a gorgeous story, Kells! It sounds so unique and I think I'm going to love the cast. I can't wait to pick it up! Yes yes Nick, you must! And the movie edition has bonus content too. I can't wait to read the rest of the series. Oh my word! The cover that you chose is so amazing!! Just beautiful. I also enjoyed this book very much and can't wait for the movie! That's the cover for the movie edition to celebrate it's release. Absolutely gorgeous isn't it. I'm so glad you loved it too Mareli, I can't wait for the movie either. This was such a beautiful book. I bought it knowing fully well that I'm not going to read it. Is that insane, or what? Anyway, I can't wait to see the movie! You're not going to attempt it at all? Go on Joy, you'll be absolutely dazzled. Dazzled I tell you! I'll just nag you relentlessly now. It was brilliant wasn't it. I'm planning on reading them before the month is over, I just loved it! I was keen to read this one but then I read some so/so reviews, so I took it off my radar. You've never let me down, so it's back on lol. No no no no no Sarah, you must read it! It's so lyrical and beautifully written, you definitely won't be disappointed. Ahhh! I need to read this ASAP. I've avoided the movie trailer so far, but I'm running out of time. I'm so happy to see you loved it; totally makes me more excited to read it. I'm actually surprised that so many people haven't read it Christy. It was glorious! The movie trailer doesn't reveal any spoilers, but will certainly make you pick up the book as soon as possible. I can't wait for you to read it. It is wonderful to see that you enjoyed this book. I bought the whole set in this series last year but i haven't gotten around to read them yet. I need to read them before the movie comes out. Great review! Not too long to go Karen, maybe try to pop in a quick read before then. Such a brilliant book. I had no idea this was turning into a movie! It looks brilliant and I've been longing for a good YA fantasy novel! It's so magical Mawa. What surprised me most was how lyrical it was, really beautiful. This is an author that intimidates me because of the hype. His books sound good but I don't know if they are my kind of books although I do like to go outside of my comfort zone...sometimes. The movie does look good too! I thought the same. I tend to steer clear of hyped books generally because they never seem to live up to expectations, but this surpassed it and I'm not a massive fantasy fan either. It was incredible and can't wait to start the next one. I thought so too! I pictured something similar to Anna Dressed in Blood, which I really enjoyed as well. But I loved how charming this was, especially Horace. I enjoyed myself a lot when I read this! I had bought the ebook during a sale, but immediately ordered a physical copy in order to get a better look at the pictures. I thought it was really cool how Ransom incorporated the photos into the book. And this book always reminds me of Magic by Coldplay, since I was constantly listening to it while I was reading this book. Unfortunately I never got around to finishing the series, but my brother loved all the books! Although he said he wasn't the biggest fan of the ending. I'm so excited for the movie! It looks really promising. It really does, so whimsical and magical. The photos were incredible! In the movie edition they have them in the back too, lovely and glossy which was a really nice addition. I'm looking forward to starting book two soon, do you think you'll continue on with the series too? Ahh i have been meaning to read this one for YEARS but i just haven't had a chance yet (never-ending TBR pile, you know?) but with the movie coming out soon i just can't sit still anymore! I'l going to have to pick it up. Lovely review! Thanks Lily and yes! The movie is what spurred me on too. I knew I'd enjoy it but didn't realise how immersive the series is. I was completely captivated and can't wait to see what you think of it! I believe Emma's peculiar in the film has been changed so that she can now levitate, rather than create and control fire. But the rest from what I've seen looks remarkably true to the book. I'm so excited for the movie too! I was hesitant because I thought it was a little too creepy, but gosh I was so pleasantly surprised! I loved it for it's whimsy especially, it was just such a delight to read. Can't wait for the movie! My nephew ADORES this series! I haven't gotten to it yet though. Oh, you must borrow his copies Karen, it's absolutely brilliant! I read this book this month and I am currently reading Hollow City. I really enjoyed Miss Peregrine's and I think the movie looks fantastical as well.